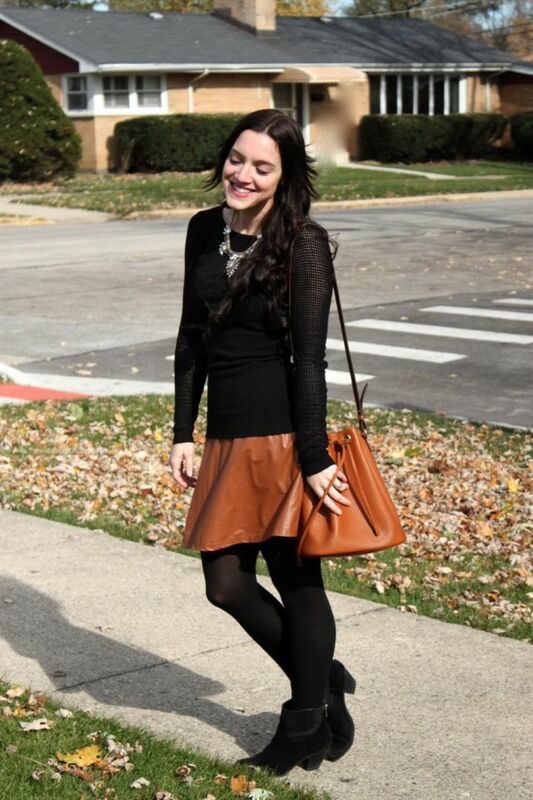 I showed you on Friday (over on the Sisters Marie Blog) how I've styled this vegan leather skirt in the past. I decided after seeing how similar I have styled it each time, I wanted to mix it up a bit. This time around I added tights, crop boots, and a fitted knit. In the end I added a great bag and necklace and this skirt took on an entirely new look! I don't generally stick to such a matchy matchy pallet, but I think it worked out well. Plus the fun mesh detail on the sleeves and the sparkle in the necklace made it all pop it bit, no? Do you wear brown and black at the same time? How do you like this styling?